Charles Perrault‘s (1628-1703) Bluebeard, La Barbe bleue (see Gallica.BnF), is an exceptionally rich source of motifs. In Aarne-Thompson-Uther, Bluebeard is classified as ATU 312, ATU 312A: The giant-killer and his dog– Bluebeard. The U in ATU stands for Hans-Jörg Uther. 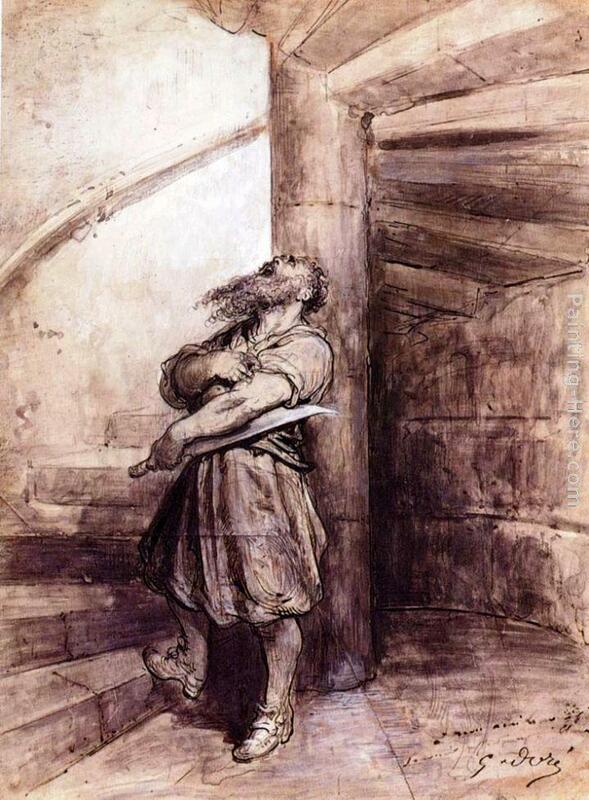 [i] Charles Perrault‘s Barbe bleue, Bluebeard, features a killer, but there is no reference to a dog. However, Bluebeard is rooted in a popular and largely oral tradition. In the more traditional tales, a dog or a bird is sent to warn our heroine’s family, her brothers especially. [ii] This element has been removed by Perrault. However, Professor D. L. Alishman specifies that folktales classified as ATU 312 and ATU 312A are stories “about women whose brothers rescue them from their ruthless husbands or abductors.” Such is the case with Bluebeard. So, to begin with, the motif of Bluebeard is AT 312 and 312A . The Little Boy and His Dogs (African-American, Joel Chandler Harris). The Chosen Suitor (Antigua, British West Indies). The Brahman Girl That Married a Tiger (India). Bluebeard is feared by most women. He owns many properties, in town and in the countryside, “gold and silver dishes, beautifully upholstered (embroidered) furniture and golden carriages: de la vaisselle d’or et d’argent, des meubles en broderie, et des carrosses tout dorés.” (Gilbert Rouger)[iii] However, his blue beard makes him so ugly and terrifying that women run away when they see him. Moreover, despite his blue beard, this colourful but brutal character has married several times, but every wife has disappeared. The moment Perrault reveals this fact, we enter the realms of mystery and suspense. What has happened to the former wives? There will be a moment of revelation. Bluebeard’s neighbour, a Lady, has two beautiful daughters and is looking for suitable husbands. When they first see Bluebeard, the daughters find him repulsive. 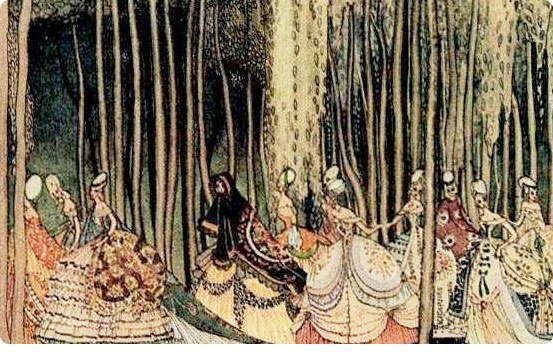 However, Bluebeard organizes a feast and invites the young women and a few of their friends (first image). 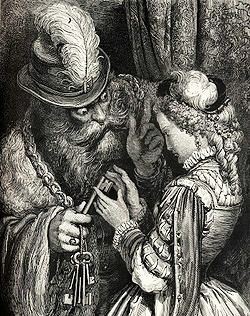 As they go from pleasure to pleasure, the younger daughter begins to see Bluebeard as a less frightening man and marries him. 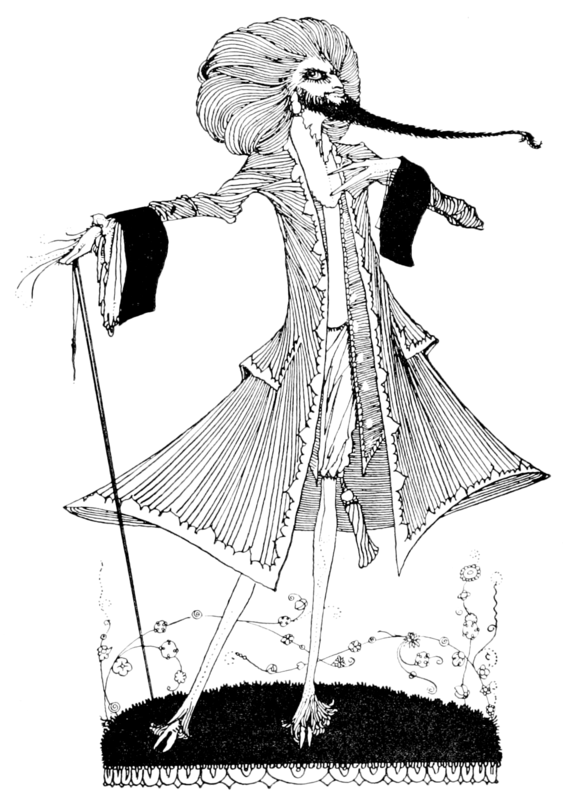 Once he has married the younger daughter, Bluebeard tells her he must go away on a trip, but to invite friends (second image). He then starts distributing keys and warns his wife not to enter a certain room yet gives her the key to this room. The telltale key and the forbidden room are motifs dating to the story of Adam and Eve. Eve is tempted by the serpent and bites into the forbidden apple. When collecting folktales, the Brothers Grimm were told the story of Marienkind, Mary’s Child, in which a girl enters a forbidden thirteenth room, sees the Trinity and is then burdened with a telltale gold finger. Marienkind will not confess that she did enter the forbidden room until she is condemned to burn at the stake. As the flames start engulfing her, she finally tells the truth and is saved. The motifs of that tale, the forbidden room and the telltale stain, link it to Bluebeard. Like the archetypal Eve, women are considered curious and, despite their fears, they want to unlock forbidden rooms, closets and cabinets. 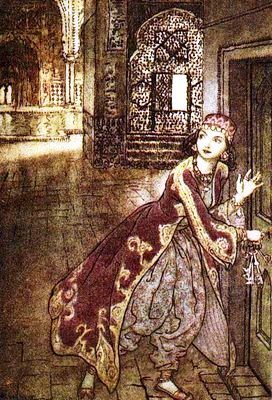 Again, “folk versions of the tale do not fault the heroine for her curiosity?”[iv] Bluebeard’s young wife trembles, but she unlocks the hidden cabinet (third image). Here we think of the deceptive closet that leads to other rooms. That is another motif. Next, when the young wife sees the bloodstained floor and the bodies of dead women, she drops the key and it gets stained by the blood on the floor of the room. This element seems a variation on the “tache [stain] originelle,” or the original sin. Therefore, our main motif could well be that of the indelible stain. Babies are born “entachés,” stained with the original sin. The young wife cannot clean the key. It is, therefore, an enchanted key. Bluebeard returns that very evening and is received with open arms. His bride hopes to delay the moment when he will ask for the keys to be returned, one of which is the stained key. 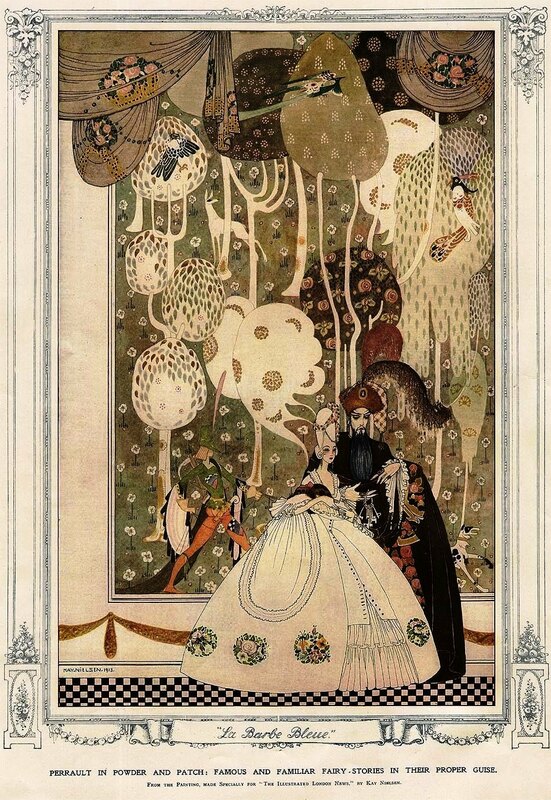 The young bride therefore entertains her husband as does Scheherazade, the Persian Queen of the One Thousand and One Nights who has studied sufficiently to know that fiction, entertainment in the form of storytelling, might save her from death, which it does. However, the next morning, our poor young wife is asked to return all the keys her rich and ruthless husband has entrusted to her. He sees the stained key and tells her she will join the wives who have died due to their indiscretion. She, of course, falls to her knees begging for forgiveness. Bluebeard was testing her and she has failed the test. She is yet another Eve who has yielded to temptation. Tests are a common element in fairy tales as are the three requirements that will turn a toad into a prince. But Bluebeard is a one-test, or trap, narrative that resembles the Pandora’s Box narrative. Pandora is given a jar named pithos which she is instructed not to open, but curiosity, the villain, is as irresistible as the serpent. She opens the jar and releases all the bad things in the world. Evil is born and women are to blame. They are the scapegoats. Fortunately, Bluebeard’s young wife inhabits fairyland. Her sister Anne has not yet returned home. So the young bride has a stand-in, so to speak, and uses a common a ruse. She asks to be allowed to pray for one half of a quarter-hour and goes upstairs to alert her sister. This recourse is reminiscent of Shakespeare’s Desdemona‘s (Othello) request. This is yet another motif or, possibly, an instance of intertextuality, texts that mirror one another. Usually, folktales contain motifs, just as music contains themes. Shakespearean theater is otherwise classified, but the stained finger could be designated as a motif in the broader world of fiction. Our terrified héroïne asks her sister Anne to go to a tower and to watch because their brothers have promised to visit and Bluebeard has returned earlier than expected. Anne is instructed to alert them from her tower. This is ATU type 312 and 312A. Bluebeard grows increasingly impatient, but the younger wife keeps asking her sister Anne whether or not she can see the brothers. This is a summit of suspense: Anne, ma sœur Anne, ne vois-tu rien venir ? Anne, my sister Anne, can’t you see anything coming? Anne answers twice. Je ne vois rien que le Soleil qui poudroie, et l’herbe qui verdoie. All I see are flurries of the Sun and grass turning green. The third time, however, Anne reports that she sees men on horseback riding in their direction. As you know, the number three is a common element of fairy tales. At his wits end, Bluebeard starts screaming so loudly that the house shakes (fourth image). He goes upstairs and grabs his young wife by the hair, holding a knife. Once again, she asks to pray, but he will not let her pray. At this point, the reader or listener fears that all is lost, except that we are in fairyland. There has to be a savior, and there is. At the opportune moment, kairos, the brothers make a racket at the door. The door is forced open and Bluebeard sees one brother, a dragoon, and the second, a musketeer. 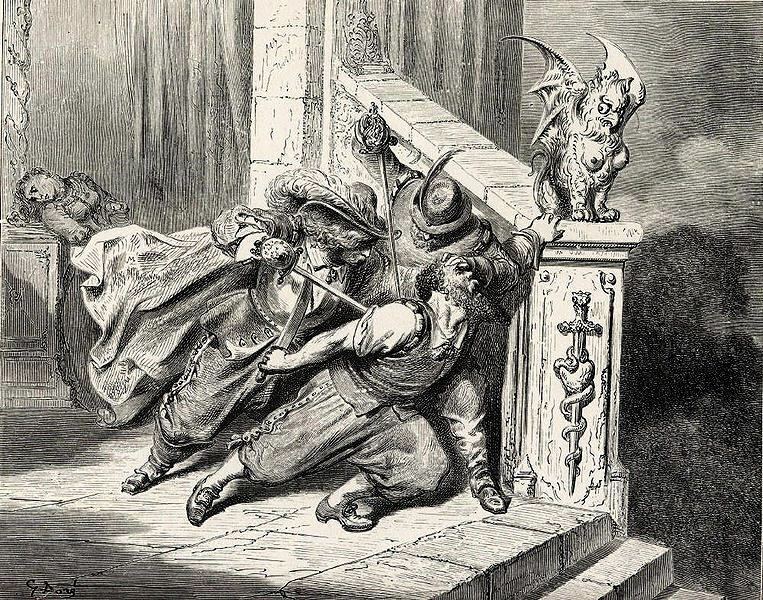 Bluebeard runs away from them, but the brothers catch him when he reaches the porch and they drive a sword through his body (fifth image). The younger sister inherits her husband’s possessions. She provides her sister with the dowry that will enable her to marry a kind man she has known for a long time. She buys her brothers appointments as captains and, for her part, she marries a gentleman. On en voit /tous les jours exemples paraître. However, Perrault uses a second moral that is not altogether a moral, but a form reassurance. He writes that those who have common sense know that this story happened a long time ago. There are no longer such terrible husbands, nor husbands who asks for the impossible, even when they are displeased or jealous, etc. In other words, he tells readers that he has written a fairy tale. As mentioned above, curiosity is not a factor in more traditional tellings of Bluebeard. Bruno Bettelheim[vi] situates Bluebeard in the animal-groom cycle (Aarne-Thompson), except that our heroine marries the animal before a curse is lifted that transforms him into a kind and beautiful person, which is usually the case in fairy tales. In Beauty and the Beast, Beauty learns to love Beast as Beast is, which lifts the curse. She marries a beautiful man, the appropriate ending of a fairy tale. Bluebeard is an ATU 312 or ATU 312A type, but it is related to the Brother’s Grimm’s Fitcher’s Bird (number or KHM 46, Grimm), Aarne-Thompson-Uther type 311, and the Robber Bridegroom (KHN 40, Grimm), Aarne-Thompson-Uther type 955. Marienkind (KHM 3) is ATU 710. So it seems that Professor Alishman’s above-mentioned list could include Marienkind, Fitcher’s Bird and the Robber Bridegroom, depending on his criteria for selection. Margaret Atwood is the author of The Robber Bride (1993) and Angela Carter, the author of The Bloody Chamber (1979). It would appear this story therefore combines many ATU types. Moreover, this tale and its variants have been told many times. The indelible stain seems a particularly important motif. I have mentioned the Bible. Curiosity leads to the original sin, called stain in French: la tache. But it also reminds us of the stain on Lady Macbeth’s hand. It will not wash away: “Out, damn’d spot! out I say!” (Macbeth, Act 5, Scene 1, line 35). Lady Macbeth has killed and the stain on her hand is as permanent as the original sin. She must atone. In this regard, Bluebeard is reminiscent of William Shakespeare‘s Macbeth. But we are reading a fairy tale. The genre itself demands a happy ending, as do comic texts. Moreover, the indelible stain could be a motif, and the original sin, to which it can be compared, an instance of intertextualité. The indelible stain motif also appears in Le Roman de Perceforest, a medieval narrative usually associated with Sleeping Beauty. Blanchette’s fairy godmother has asked her not to touch Lyonnel. But she does, briefly and accidentally. The finger that has touched Lyonnel turns black. In the Brother’s Grimm’s Marienkind, Marienkind opens the thirteenth door, or the forbidden door. It seems the number thirteen has long been an unlucky number, but the more important element, the motif, is that of the telltale stain. Let it be short: “All’s well that ends well.” Tout est bien qui finit bien. [i] The AT-number system was updated and expanded in 2004, the year Hans-Jörg Uther published his Types of International Folktales: A Classification and Bibliography. Hans-Jörg Uther calls types some of the elements formerly named motifs, but some motifs are types. The telltale stained key is a motif, but brothers saving a sister would be a type. [ii] Maria Tatar in Jack Zipes, editor, The Oxford Companion to Fairy Tales (Oxford, Clarendon Press, 2000). [iii] Gilbert Rouger, editor. Les Contes de Perrault (Paris: Editions Garnier, 1967). [iv] Op. cit. The Oxford Companion to Fairy Tales. [vi] The Uses of Enchantment (New York: Vintage Books Edition, 1989 [1975, 1976]), p. 182. 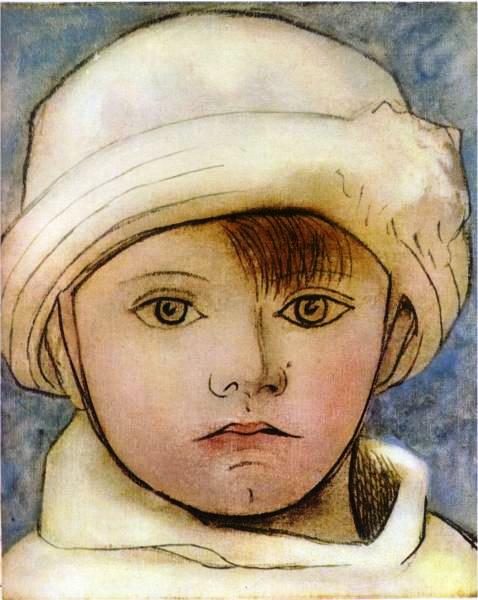 Yesterday, searching through works by Picasso, I found this portrait. I went looking for it today and could not find it until I watched a short video by Philip Scott Johnson. I therefore looked at several works by Picasso. Many show distortions and metamorphoses. The video is very revealing. It is like a key to a mystery. This is such a short post. I apologize. We are now skipping a century and find ourselves in Paris where a relative of Haydn’s patrons, Charles Marie Ferdinand Walsin-Esterhazy (16 December 1847, Austria – 21 May 1923, England), would be the key player in a drama that began several years after France was defeated in the Franco-Prussian War (19 July 1870 – 10 May 1871), also called the Franco-German War of 1870. France lost Alsace-Lorraine to Germany, an area it would not regain until the end of World War I (28 July 1914 – 11 November 1918). The Prussian victory was a catalyst. It led to the unification of Germany. Germany had long been a group of loosely-linked German-language states, perhaps best described as a landed squirearchy. It became a nation-state on 18 January 1871, at no less a venue than Versailles itself, in the Hall of Mirrors, ten days before Paris fell, on 28 January 1871. Germany was unified but, from the moment Captain Alfred Dreyfus was arrested, on 15 October 1894, France would be divided into the Dreyfusards, intellectuals, and the anti-Dreyfusards, a division that revealed deep comtempt against the Jews, not only in the armed forces, but among civilians. In 1894, Captain Alfred Dreyfus (9 October 1859 – 12 July 1935), a French artillery officer of Jewish background, was arrested for treason. Dreyfus’ wealthy family originated from Alsace but had moved to Paris after the Franco-Prussian War. The culprit was Marie Ferdinand Walsin-Esterhazy, a remote member of the Esterházy family, but a relative nevertheless. Esterhazy had sold information to Germany after the Franco-Prussian War, not Alfred Dreyfus. Yet a guilty finger was pointed at Alfred Dreyfus. 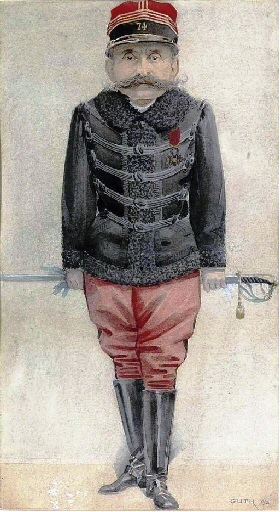 Dreyfus was arrested on 15 October 1894, hastily court-martialled, behind closed doors, and convicted of treason on 22 December 1894. After his conviction, Dreyfus was publicly stripped of his army rank and, beginning on 13 April 1895, he started serving a life sentence on Devil’s Island, about 14 km away from mainland French Guiana, in South America. Imprisoned on Devil’s Island, an innocent Dreyfus served five years of a life sentence while French intellectuals, led by writer Émile-Édouard-Charles-Antoine Zola (2 April 1840 – 29 September 1902), set about exposing a miscarriage of justice. Never had a miscarriage of justice so mobilized France’s foremost intellectuals. Émile Zola wrote his famous « J’accuse, » an open letter to French President Félix François Faure (30 January 1841 – 16 February 1899), published in L’Aurore on 13 January, 1898. In 1896, when Lieutenant Colonel Georges Picquart,[i] chief of the army’s intelligence section, found evidence that Major Ferdinand Walsin-Esterhazy was engaged in espionage. Esterhazy’s handwriting was found on the memorandum (the bordereau) that had incriminated Dreyfus. Picquart revealed his findings to his senior officers who persuaded him to conceal the truth so that Esterhazy would be protected. Picquart continued investigating and was removed from his position and assigned to duty in Africa. In fact, he would later be accused of the crime that brought France to its knees. Picquart had spoken with Dreyfusards before leaving for Africa. In the meantime, Zola was accused of libel and brought to trial on 7 February 1898. 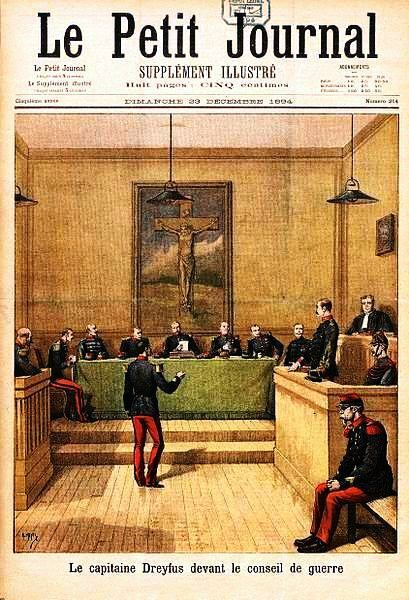 Zola had hoped that his « J’accuse, » would lead to a trial and to disclosure of evidence that could free and exonerate Dreyfus. It did, but tortuously. Dreyfus was tried a second time, but was again convicted and condemned to ten years of imprisonment while Major Walsin-Esterhazy went free. The memorandum clearly implicated Esterhazy, but a decision had been made to protect him. 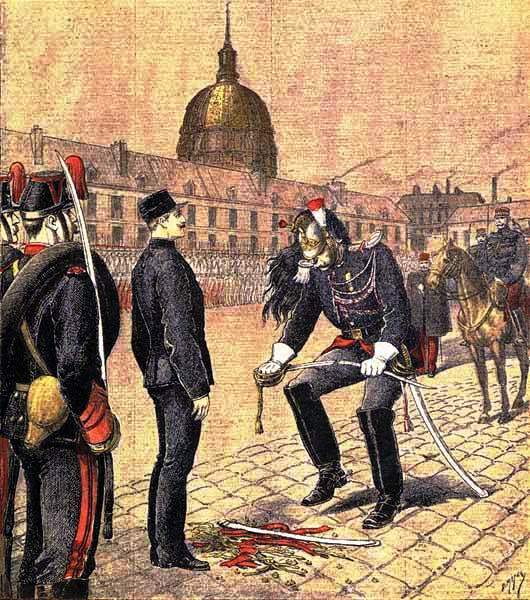 Consequently, treason was again imputed to Captain Dreyfus despite a petition signed by 3,000 persons asking that the Dreyfus’ trial be reviewed. According to Britannica, the affair “was made absurdly complicated by the activities or Esterhazy in inventing evidence and spreading rumours, and of Major Hubert Joseph Henry, discoverer of the original letter attributed to Dreyfus, in forging new documents and suppressing others.”[ii] Major Henry was arrested for having forged evidence against Dreyfus, but committed suicide shortly after he was incarcerated (1898). As he had hoped, Zola was brought to trial, which served Dreyfus’ cause. The trial exposed a miscarriage of justice, except that Zola was convicted of libel, a conviction he did not expect and further divided public opinion. 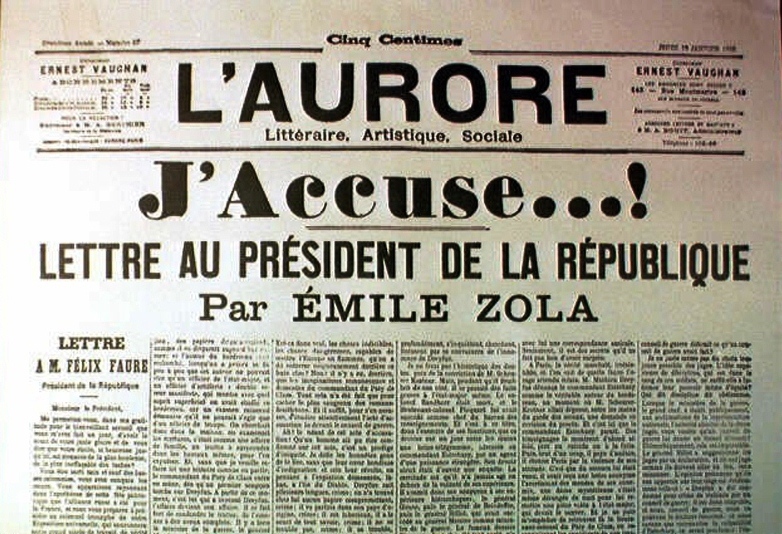 Zola was about to pay a heavy price for publishing his « J’accuse », which had otherwise been a “success.” Britannica reports that “[b]y the evening of that day, 200,000 copies had been sold.”[iv] Despite support, Zola was condemned to a year in jail and a fine of 3,000 francs. He escaped his jail sentence by fleeing to England where he remained for a year, 1898-1899, but he was allowed to return to France when the French Government fell. Although Ferdinand Walsin-Esterhazy[v] was brought before a court-martial in 1897, he was acquitted by his fellow officers and retired in 1898. However, as the movement for revision of Dreyfus’ condemnation gained momentum, Esterhazy fled first to Belgium and then to England where he worked mainly as a translator and possibly as a traveling salesman. Esterhazy was in fact encouraged to flee to England. He lived in Harpenden, Hertfordshire, until his death in 1923 (aged 75). After he was exonerated, Dreyfus did reintegrate the army. He passed away in 1935, at the age of 75. As for Émile Zola, he died of carbon monoxide poisoning in 1902. It may have been an accidental death, but it may also have been murder. Britannica concludes that “[f]rom the turmoil of which it was the centre emerged a sharper alignment of political and social forces, leading to such drastic anticlerical measures as the separation of church and state in 1905 and to a cleavage between right-wing nationalists and left-wing antimilitarists that haunted French life until 1914 and even later,” and adds that “[a]t best, it evoked a passionate repudiation of anti-Semitism, which did France honour[. ]”[vi] But the Dreyfus Affair seems yet another tug of war between extremists, liberals versus conservatives, not to mention a major case of scapegoating at the expense of Jews. Regarding the connection between Haydn’s patrons and Ferdinand Walsin-Esterhazy, it is simply very unfortunate. However, it could well be that Péter Esterházy (born 14 April 1950 in Budapest), a likeable individual, is the most prominent among current Hungarian writers. History has had a lot of very bad days, and it keeps repeating itself. [i] “Georges Picquart”. Encyclopædia Britannica. Encyclopædia Britannica Online. [ii] “Dreyfus affair”. Encyclopædia Britannica. Encyclopædia Britannica Online. [iii] “Alfred Dreyfus”. Encyclopædia Britannica. Encyclopædia Britannica Online. [iv] “Dreyfus affair”. Encyclopædia Britannica. Encyclopædia Britannica Online. [v] “Ferdinand Walsin Esterhazy”. Encyclopædia Britannica. Encyclopædia Britannica Online. [vi] “Dreyfus affair”. Encyclopædia Britannica. Encyclopædia Britannica Online.